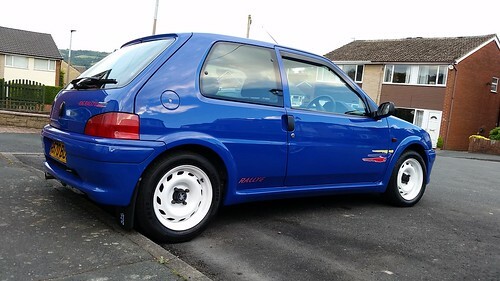 I bought the Rallye with a couple of modifications which include, pug sport 2" exhaust, 4-2-1 mainifold (not sure of the brand) and braided brake lines. The car still has the original 8V engine with around 160K miles on the clock. 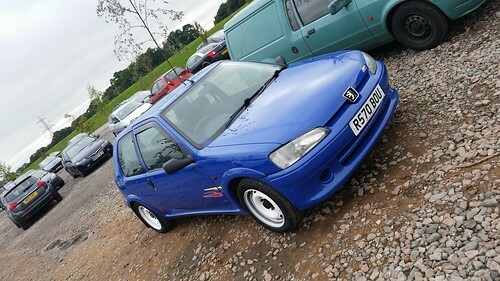 Personal touches I have done: GTI spoiler, colour coded wing mirror covers and blue seat belts from a saxo. Maintenance work: Brand new rear calipers, new rear brake lines, new clutch, reconditioned the original Rallye gearbox, discs and pads all round, magnecor ht leads, new coil pack, new lambda sensor and general service parts and fluids. I had the wheels re-coated but they need doing again. There are a couple of problems with the car at the min. one being a slight misfire hence why I fitted new coil pack and leads and the lambda sensor as it is over fuelling. But none of this solved this misfire. 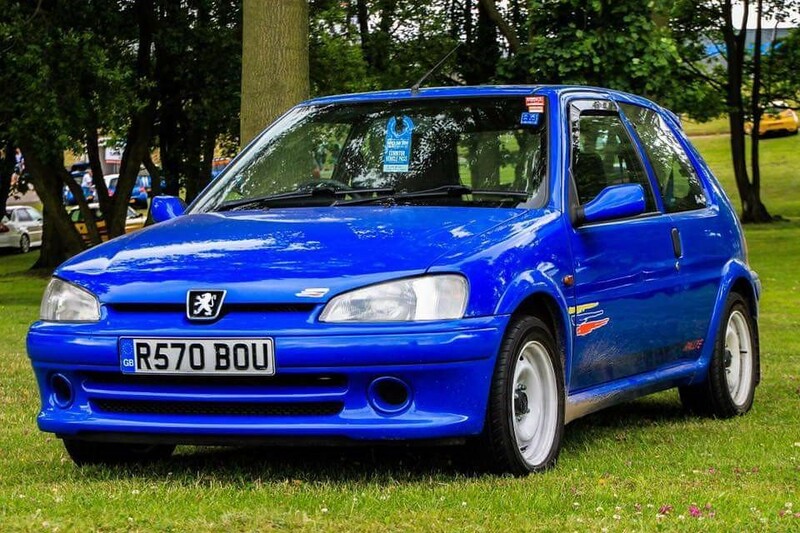 Second problem is, there is a slight crunching noise when changing in to 3rd gear, as if the clutch isn't disengaging properly, doesn't happen if I let the revs drop all the way down. Any ideas on these issues are much appreciated! That is looking pretty shiny! Doesn’t look like a Cat D - was it the engine? Thanks Cris, I detail cars in my spare time so its well looked after! 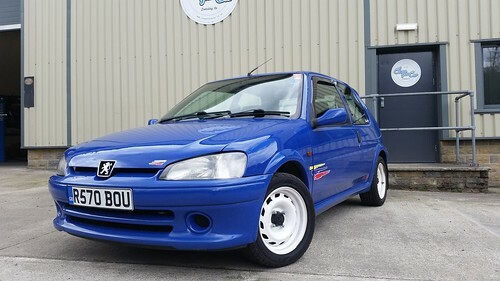 The engine is the standard 8V, how ever I have a refurbished S1 Rallye inlet but I am unsure whether or not to fit it? EDIT: It's a CAT D as I believe it was bumped in a supermarket car park in 2013 on the drivers side front, needing a wing, door, wheel and bottom arm. 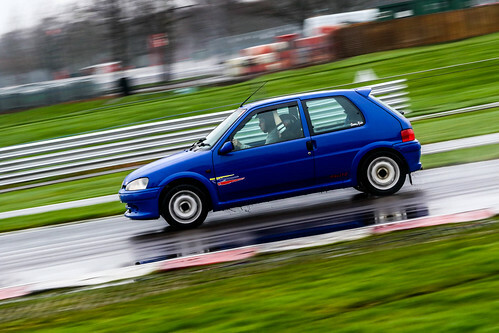 The Rallye was the first car of my own that I took on track. 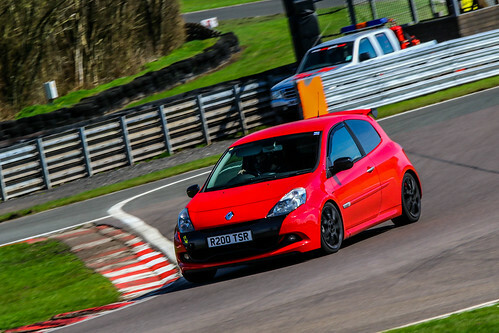 Full day at Oulton Park! Was the best day/experience I've had! Car was pretty much faultless apart from a flat/dead spot occurred in the steering. No idea what this problem was so I managed to source a brand new Peugeot steering rack with all the necessary parts! I quickly has this replaced and was like new again! Best part of the day was that the Rallye used less than a full tank of fuel to drive there, around the track and home again! 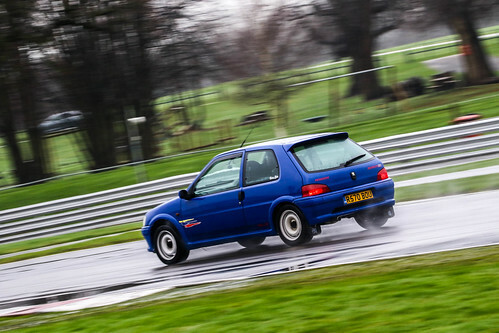 Since then I have taken my Clio RS200 on track and TBH the Rallye was more fun! I thinks the s1 inlet and plenum is quite a good bit of kit and unless you are running Throttle bodies should be retained...on a 1.3. Might be restrictive on a 1.6, don’t know! I was told the S1 inlet flows a little bit better ( how true this is I don't know) and the noise from the metal inlet is meant to be amazing!